There are a number of fundamental physical constants of nature, in which their values seem to be finely tuned. Examples of such constants are: the speed of light, the strength of gravity, the mass of the elementary particles, and the strength of the atomic forces. The fine-tuning angle comes into play when one considers the exact parameters of the constants. Hypothetically, if one were to adjust the values just a little bit, the universe would be vastly different. This fact alone does not present a problem. However, physicists have noted that minor changes to the values of the constants would not allow life to develop. It is as if the universe knew we were coming, or is it? The values of the physical constants are critical for giving our universe the structure that it has. For example: the precise strength needed to hold the atomic particles together in stable arrangements, and the gravitational force needed to clump matter into stars and planets. If the strength of gravity was slightly weaker, matter in the early universe would have spread apart too quickly; thus preventing stars from forming. Conversely, if the gravitational force was a little stronger, matter would have come together too quickly and everything would have collapsed. It is clear to scientists that gravity, as well as other values, could not be adjusted very much without erasing the possibility for life. Although the apparent fine tuning of the constants demand an explanation, nothing compares to the level of fine tuning of one particular constant. This is called the cosmological constant (also called dark energy), and it represents the value of the energy in empty space. The cosmological constant is believed to exert an outward force, which is causing the universe to expand at an accelerated rate. In 1998, the value of the cosmological constant was measured by two teams of astronomers. The number they came up with is extremely small, a decimal point followed by 122 zeros and a one (measured in Planck units). The energy in empty space, represented by the cosmological constant, is only relevant at the largest of scales. As the universe expands the amount of space is also increasing, thus increasing the effect of the dark energy. But in the distant past when the universe was much smaller, the total energy in space would have produced a far lesser effect. And here is the catch. If the outward push of the cosmological constant was slightly larger by a few decimal points, it would have counteracted the pull of gravity too quickly. This would have prevented stars, planets and galaxies from forming. In this scenario life would not exist. By removing just a few zeros from an already small value, a universe suitable for life would disappear. Physicists are at a loss to explain why the number is so small and so finely tuned for our existence. In addition, the value of the cosmological constant revealed by observations is far less that what theory predicts. That is, the theory of the microscopic realm (quantum mechanics) predicts that the energy in empty space should be much larger. The mismatch between theory and observation does not sit well with physicists, as it shows that there is something missing with this picture. The specific values of the physical constants require an explanation. Some people will look for a metaphysical solution. This will usually imply a creator for the universe who setup the constants for a purpose. The word God is the preferred choice, and it suggests that the universe was planned for our existence. Yet for others, crediting God for designing the universe in a special way is a non-explanation. One would still have to explain where God came from and why he was there in the first place. Another line of reasoning would be to accept that mere chance accounts for the constants. But given the amount of fine tuning, this seems akin to winning a lottery with an infinite number of combinations. Chance alone is not a very satisfying solution. There is also the possibility that we don’t have enough information to solve the problem. Maybe a deeper understanding of the laws of physics is needed, and someday physicists will find the answer. The word universe has traditionally been used to describe all that exists. However, cutting-edge physics is requiring that a change of perspective is needed. Through a variety of physical discoveries the idea of multiple universes is being considered. The words parallel universes, parallel worlds, alternate universes, multiverse and others are being used. In the multiple-universe theme, the word universe has a slightly different meaning. Universe no longer means all there is, but rather means a region of a larger cosmos that is separated from other regions. Although not yet experimentally tested, having large numbers of universes (possibly infinite) could explain the fine tuning of the physical constants. The logic is simple. With many universes, with different possible values for the constants, it is likely that one has the values we observe. Therefore, it is not surprising that we find ourselves in a universe that allows life. In the universes that have conditions that don’t allow life, there is no one to observe them, no one to say that they are not finely tuned for life. Eternal Cosmological Inflation: The extreme burst of spatial expansion at the early moments of the universe is known as inflation. Inflation is a cosmological principle, which in theory could happen anywhere, thus giving rise to multiple big bangs. A Spatially Infinite Cosmos: By inferring an infinite expanse of space-time, there is a limit to ways particles of matter can be arranged. Conditions in one location would eventually have to repeat somewhere else, creating parallel universes. The Extra Dimensions of String Theory: String theory proposes that at the tiniest of scales there exist extra spatial dimensions. It also states that there are many possible shapes for the extra dimensions of space. However, string theory cannot determine which of the shapes corresponds to our universe. If string theory is correct, the different possible shapes for these extra dimensions could be realized in different universes. The Many-Worlds Interpretation of Quantum Mechanics: The atomic/subatomic realm is governed by randomness and understood using probabilities. Interpretations can vary. The many-worlds interpretation states that all the possible outcomes associated with quantum mechanical probabilities really happen, resulting in parallel worlds. Not all the multiple universe proposals would yield different values for the constants. Some would produce exact replicas of our universe, or very close copies. Hence the term parallel universe. Yet other proposals would allow for different laws of physics or different values for the constants. These could be universes that are totally foreign and barely recognizable to us. Whether we live in one of multiple universes is anyone’s guess. Presently, there is no known method that could observe them. Nevertheless, there are plenty of cases where physical theories or mathematics have pointed toward a phenomenon in nature, even before it was observed. And then at some later date, observations confirmed the theory. 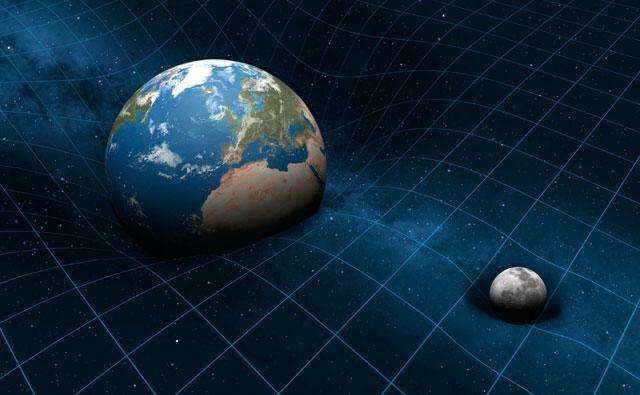 Therefore, if modern physics is suggesting the existence of a multiverse, it provides an interesting argument for the fine tuning of the physical constants of nature. References: Brian Greene, The Hidden Reality (New York: Alfred A. Knopf, 2011), 8, 9.